The mobility of the future has a new quality. Through the change in mobilitywill also the concepts and solutions in this area be transformed.The development of electric cars takes a key stand in this process. 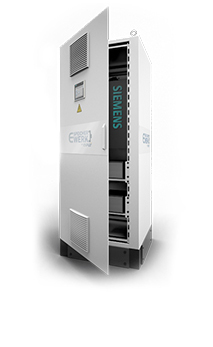 The application of an E-SpeicherWerk power storage system as a temporary storagestation can play a central role in this case. E-vehicles charge energy at decentralized locations such as supermarkets, parking lots at work or at home. 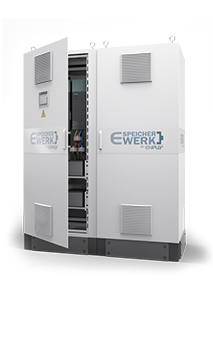 The E-SpeicherWerk power storage system can thus act as a buffer for renewable energy. Intelligent billing models can be integrated into the control system and are prepared for this task.